Printing custom door hangers continue to be a great way to advertise your business, product or service to local customers. 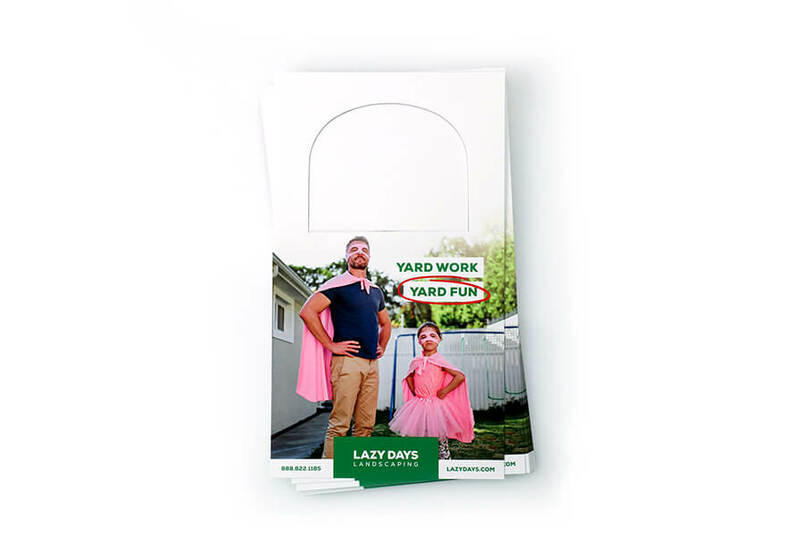 Make a statement and have your business stand out with our 100LB gloss cover door hangers. They are available in various sizes to meet your business needs. Choose from three distinct die cut options; Standard, Starburst, and Arch. Each die cut can easily slide on any door handle. Please Select 3.5" x 8.5" 3.5" x 11" 4" x 7" 4.25" x 11" 4.25" x 14"